There is just something about deep blues at night. You can see the original photo on the bottom section. My first Preset, Nighttime Blue by Photoframd, is darker with less of the original colors bleeding through. 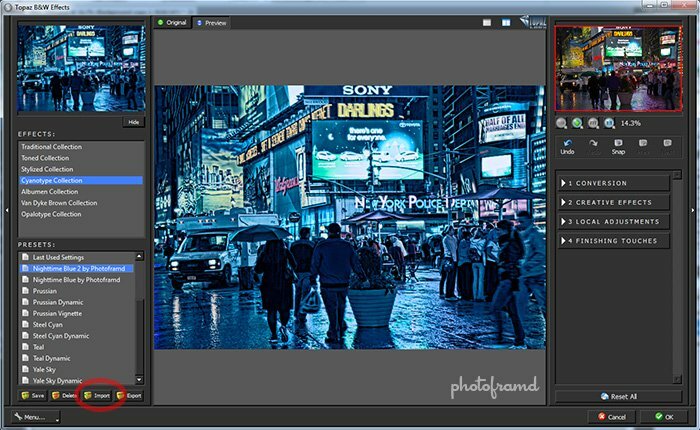 The other Preset, Nighttime Blue 2 by Photoframd, is brighter with more of the original colors mixed into the blues. I alternate between the two Presets depending on the photo and the desired effect. Remember, you can still apply either Preset to a layer and then selectively blend the effect in using masks. 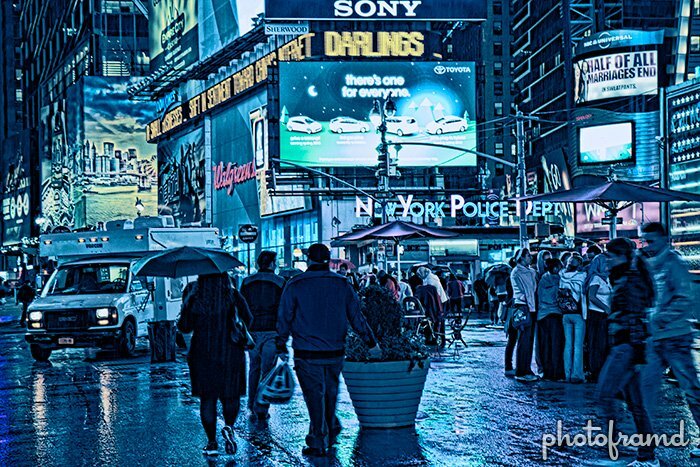 Download the zipped Presets for Nighttime Blue by Photoframd. 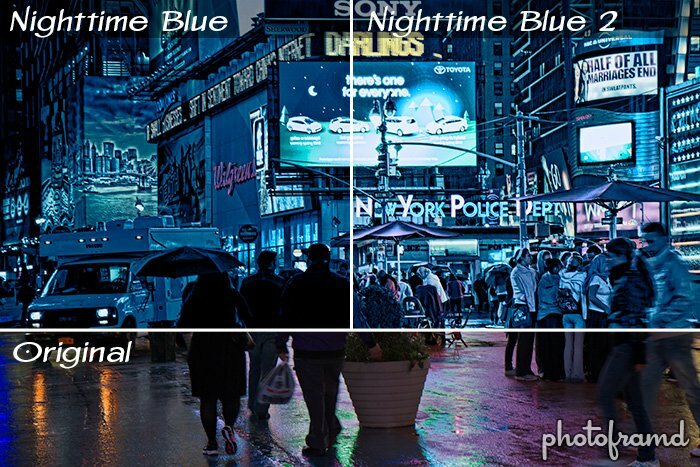 [NOTE – I just revised my Preset for Nighttime Blue 2 by Photoframd and replaced it in the Zip file link. The previous setting was based on the original version of B&W Effects and was overexposed in the new update. The revised Preset fixes that.] This compressed file contains both Presets. You will need to unzip them first. With Topaz B&W Effects open, simply click the Import button and locate the unzipped Presets. Import them one at a time. The Presets should install under the Cyanotype Collection. You may need to close B&W Effects and relaunch it again in order to see them listed. I keep getting “Sorry file not found” error when using your link to the Nighttimeblue zip file. I also tried Save as …, but that did work either. Any suggestion where I can get your preset? I really like it! Oops! Sorry about that! I had updated those presets and the link broke. It works now. Thanks for pointing it out!